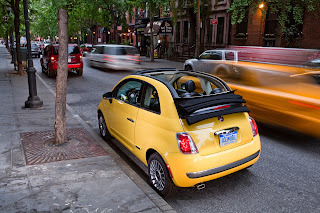 A Cruise Control First Drive: We take the Fiat 500 C or Cabriolet out for a drive in decidedly non open roof type of weather. We will have a full report on this fuel sipping drop top. Engine Tech: Mazda reveals its 70 MPG gasoline powered Skyactive engine and Cummins opens up about its four cylinder clean diesel that might become part of the power train for a full size pickup. Talking Tech: Is the next generation of Ford Sync system going to monitor your health? Plus SAAB starts building cars, VW opens in Chatanooga with shiny chrome and something auto related that you just don't need.